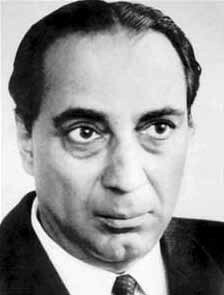 Homi Jehangir Bhabha was an Indian nuclear physicist who had a major role in the development of the Indian atomic energy program and is considered to be the father of India’s nuclear program. Bhabha was born into a prominent family, through which he was related to Dinshaw Maneckji Petit, Muhammad Ali Jinnah, homi K Bhabha and Dorab Tata. After receiving his early education at Bombay schools and at the Royal Institute of Science, he attended Caius College of Cambridge University to pursue studies in mechanical engineering. After taking the mechanical engineering Tripos, he pursued studies under Paul Dirac to complete the Mathematics Tripos. Meanwhile, he worked at the Cavendish Laboratory while working towards his doctorate in theoretical physics under R. H. Fowler. During this time, he embarked on groundbreaking research into the absorption of cosmic rays and electron shower production. Afterwards, he published a string of widely-accepted papers on his theories regarding cosmic ray showers. World War II broke out in September 1939 while Bhabha was vacating in India. He chose to remain in India until the war ended. In the meantime, he accepted a position at the Indian Institute of Science in Bangalore, headed by Nobel laureate C. V. Raman. He established the Cosmic Ray Research Unit at the institute, and began to work on the theory of the movement of point particles. In 1945, he established the Tata Institute of Fundamental Research in Bombay, and the Atomic Energy Commission of Indian three years later. In the 1950s, Bhabha represented India in International Atomic Energy Forums, and served as President of the United Nations Conference on the Peaceful Uses of Atomic Energy in Geneva, Switzerland in 1955. He later served as the member of the Indian Cabinet’s Scientific Advisory Committee and set up the India National Committee for Space Research with Vikram Sarabhai. In January 1966, Bhabha died in a plane crash near Mont Blanc, while heading to Vienna, Austria to attend a meeting of the International Atomic Energy Agency’s Scientific Advisory Committee. 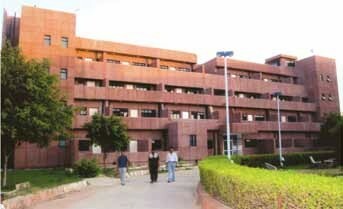 Homi Jehangir Bhabha hostel has capacity to accommodate 168 boys students.